During a flight from the Netherlands to China a passenger named Ming Yang suddenly felt something strange, and looked out of the window and noticed a silver-gray disc-like UFO in the distance on which he immediately pulled out the phone and took a picture of the UFO. Based on the remarkable UFO sighting photographed on September 14, 2018, mp.weixin.qq. 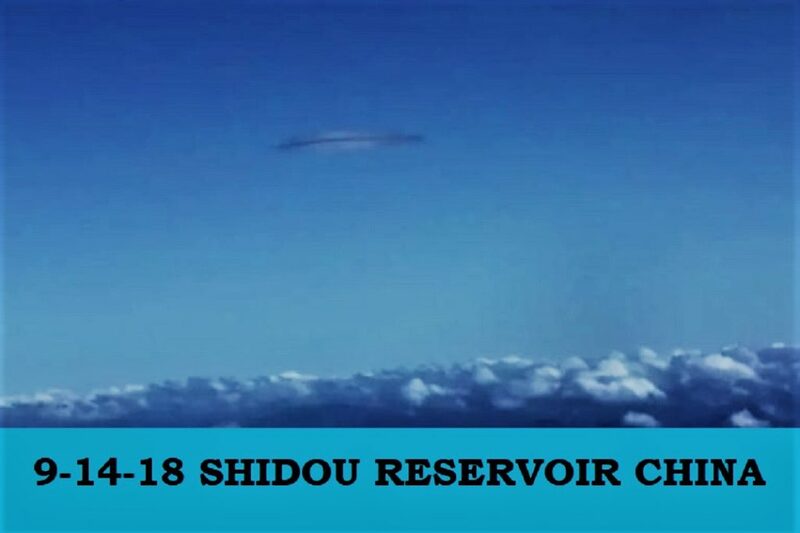 has worked out a detailed report and came to the conclusion that the location of the UFO was above the Shidou Reservoir. Shidou Reservoir which is a reservoir in Jimei District, Xiamen City, Fujian Province, China. They also have consulted a professional captain, Mr. Cheng Hui and according to his analysis the size of the UFO is about 120-200 meters and it was nearly up to 4,000 meters while according to the flight track query the KLM Boeing 787 was at 3,600 meters at the moment Mr. Ming Yang took the picture. According to the report the UFO has a strong stealth performance and it seems to have two layers above and below, in a static state, indicating that it could be an antigravity craft.